The AUUF graciously donates the use of their historic Fellowship Hall to Sundilla and other local organizations. 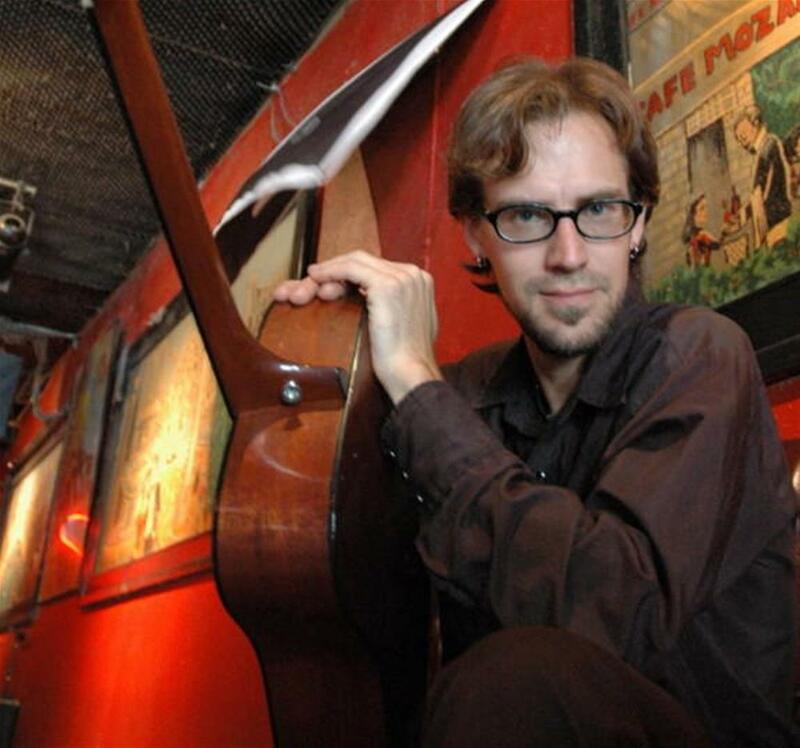 Greg Klyma’s constant wanderings bring him back to Sundilla on Thursday, April 25. Showtime at the AUUF is 7:30. Advance tickets are just $15 and can be found at Spicer’s Music, World Cup Coffee, and online at sundillamusic.com; admission at the door will be $15. We’ll have free coffee, tea, water and food, and you are welcome to bring whatever food or beverage you prefer. “Constant wanderings” might not be as accurate a description as it was the last time Greg played Sundilla; back then he really did live in his van as he traveled from gig to gig. Since then the Buffalo-born troubadour has settled in Boston, though he still spends most of his time on the road. Call him “road-tested,” or “a relentless songwriter.” Greg Klyma is keeping the American folk tradition alive with his enduring themes, articulate and amusing stories, and populist ideals. He rolls in off the road, pulls out a guitar, and proceeds to take us back to the basics: family, love, gratitude, and laughter. Another apt descriptor is “genre diversity,” which shouldn’t come as a surprise from an artist well studied in American music. “Old school country, classic rock, and singer-songwriter folk are three styles of music that I love. I love to listen to 'em. I love to play 'em,” he says, “my wheelhouse finds me standing in the long shadows of Bob Dylan, Kris Kristofferson, Willie Nelson, Steve Earle, Tom Petty, and Mick & Keef, to name a few.” His birthdate puts him squarely in the middle of Generation X, but Greg Klyma is an old-school troubadour. His enduring themes, articulate and amusing stories, and populist ideals make him one of those rare young artists who is carrying the torch of Woody and Ramblin' Jack. He rolls in off the road, pulls out a guitar, and proceeds to take us back to the basics: family, love, gratitude, and laughter. It's the timeless art of the true troubadour, keeping alive the American folk tradition. Greg Klyma has been living on the road performing music full-time since August 1998. Traveling from the Rust Belt to FEMA villages with guitar and mandolin in hand, capturing the stories of the people he's met and seen for over a decade, Greg has honed his songwriting and storytelling while developing a show that lands somewhere between the worlds of Steve Earle and Steve Martin - it's literate, witty, visual, sometimes comical and forever building on tradition while seeking its own voice. For more information, including videos and quotes, go to www.sundillamusic.com.